You are currently browsing the tag archive for the ‘maths’ tag. Here are my thoughts on sitting the British “A-Levels” in Australia as a possible path to University Entrance for Home Educated students. Disclaimer : This is a guide only – our current plan which we have not yet verified/ completed – so please check for yourself before making any decisions. How to do them ? In a nutshell, the A-levels are the UK / British approximate equivalent of the Australian VCE/HSC/ATAR, or the American CollegeBoard/AP exams, or the IB International Baccalaureate. That is to say, they are the highest secondary school qualification, and are used to gain entrance to University and satisfy tertiary prerequisites. A-levels are sat in many international schools worldwide, and are quite well known by universities in many countries, so the qualification is reasonably well regarded and can usually be compared/converted to the local equivalent. The exams are standalone and not based on coursework, they are marked by an independent body and have few formal prerequisites or formal age requirements. There are plenty of course materials, books and past exam questions available, and A levels cover a wide range of subjects in depth. In Australia, the BritishCouncil in Sydney run the exams in May/Jun and Oct/Nov, and some in Jan. There are various exam “boards” which set the exams and mark them, and BritishCouncil offer the option of EdExcel or CIE ‘flavor’ exams. In our case, DS15 – code for ‘my 15 year old Darling Son’ – has worked a couple of years ahead in Math, using materials from KhanAcademy.org, AoPS.com and amt.edu.au. Doing some fairly rigorous academic tests in Math next year seems a good fit, in preparation for University the following year. If we could have done VCE methods, ‘spesh’ and physics next year that would have worked out fine – but we could not find a school that would allow us this flexibility. I think this gives us a reasonable chance of getting into a good science/math program at an Australian university, but they may insist he also sit an entrance STAT exam to show evidence of English / Reasoning / Writing skills at university level. The A level exams are not super cheap – each test is around $300 AUD, with usually 2 or 3 tests per subject on different days, so around $2400 in our case. There is also the issue of travel and accommodation to sit the tests in Sydney and lesser costs for books and materials. There are some online distance ed providers for A levels, but in our case we prefer to self study from the books. If things go well, we will report back on our success and this pathway might prove useful for other home educated students. If things don’t go well, we can review what went wrong, and DS will still have time to find other pathways to get into Uni. I admit this is a pretty “geeky” approach with so much emphasis on Maths, but it suits us well and DS does have wider interests – he plays the violin, reads voraciously, writes, does computer art and programming, loves cooking etc. Even with good marks in A-levels a 16yo student will most likely need the University Dean of Schools approval, so we shall see what they say about our best-of-british quals ! 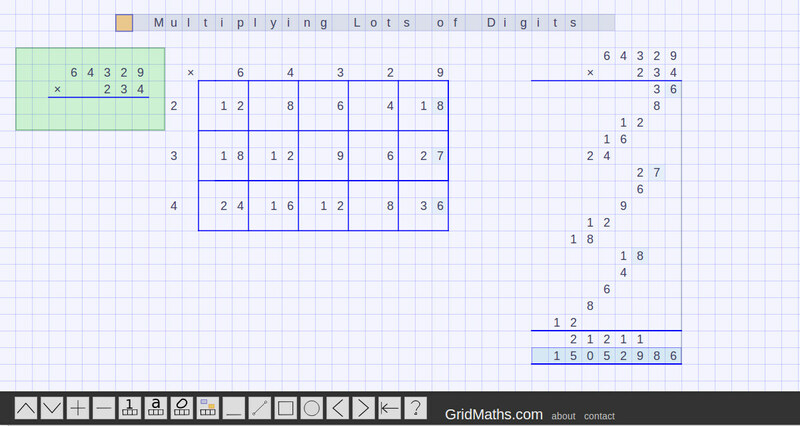 I’m working on adding nicer text and math symbol support in GridMaths, so formulas will look like they should. LaTex is the ‘gold standard’ but I’m thinking of using a simpler alternative which gives most of the benefit, namely ASCIIMathML. I think its quite a nice format, something that covers most of the things a highschool Maths student will encounter, with a reasonably predictable and short syntax. I’m experimenting with the best way for GridMath UI to enter math expressions, so it may be that you don’t normally see the text representation, but it may be exposed when you need to edit. I’ll use MathJax to render this, so it may be that you can edit and enter LaTex directly if you are a power user and know it well. For some students it might bridge the gap and give them a helpful intermediate step so they see it as the same kind of thing as multiplying integers. I would also try out the box approach to introduce multiplying mixed numbers with fraction parts, and numbers with decimals, and so on – as it relates back to the earlier understanding of multiplication as area of a rectangle. So GridMaths.com is in open beta, now works reasonably well on iPad and recent desktop browsers. Android browser support coming sometime soon. Then move to a more compact form, which still shows the rectangle grid, but not to scale.. This shows that lots of digits should not induce panic.. the same systematic approach works [ which is why computers can do multiplication so well ]. I think having the box grid is a nice way to remember where all the pieces come from [ single digit products ]. Also I think it really helps to use the blank grid spaces, rather than fill in every 0. The lattice method is slightly more compact, but I think this box approach reminds students of whats really going on. Thanks for all the emails and encouragement so far as I build this. 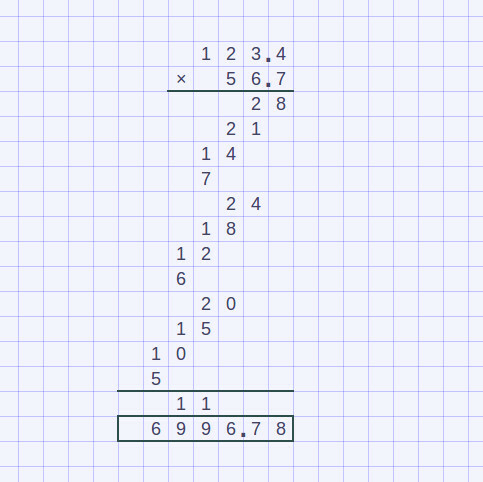 Enjoy, and let me know how your using GridMaths. 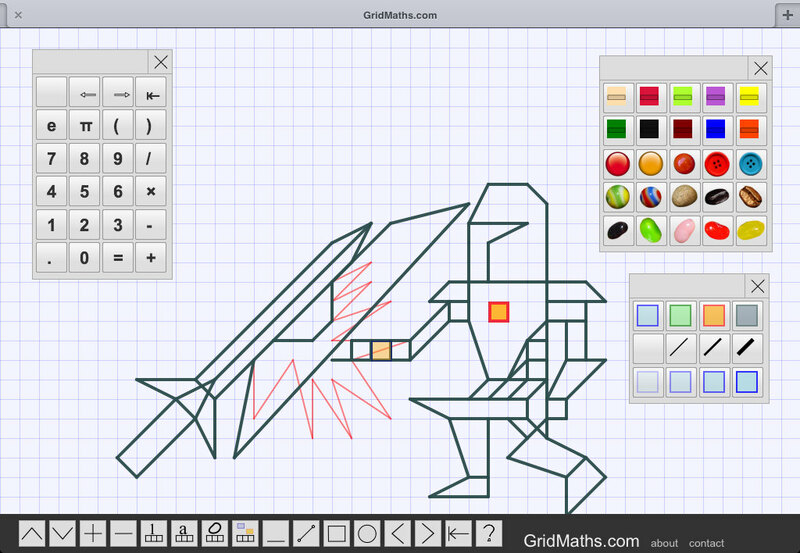 If you haven’t guessed already from the above pic, the idea of GridMaths.com is to have an interactive quad grid paper environment in your browser or tablet, where you can work out math problems like long division, multiplication and so on. My 9yo son has been doing lots of KhanAcademy exercises, working his way up to multiplying decimals..[ which Im pretty chuffed with ]. You really need grid paper to do those as you have lots of adding up in columns.. so anyway we spent ages getting quad ruled grid paper in Bangkok, as this is less common, or at least not easily found in the otherwise excellent stationary shops in the main shopping malls. Some of these problems take a fair bit of working, so its easy to make typo mistakes .. it seemed to me if you could type in a grid that would really help. When I thought about how much time Id spent hunting down stationary and that Id spent about $50 in the last year on grid paper… something kind of clicked and I decided to make a prototype and see if it would help. 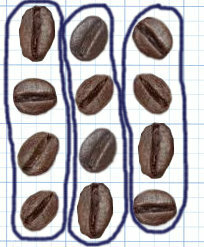 thus was born GridMaths.